The way in which coffee is brewed can mean the difference between a great cup of coffee and one that's disappointing. 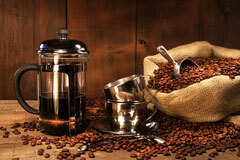 The coffee that we drink is essentially a mixture of ground coffee beans and water. The goal of brewing is to extract elements from the ground coffee, and infuse them into water. 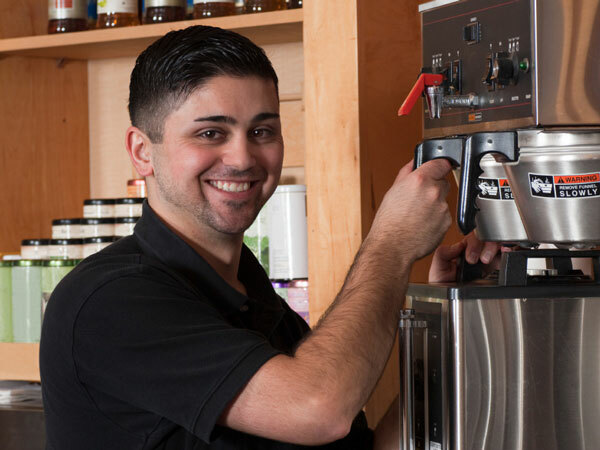 There are several ways to do this, from the ancient, Oriental method of boiling coffee and water, to the more modern, complex methods we use today that require specialized coffee-making machinery. Coffee that is brewed incorrectly can result in unpalatable coffee of the wrong consistency. When choosing any brewing method, the main consideration is to ensure that the proportion of ground coffee to water is correct. Water condition, water temperature, and contact time all factor into the end result. Since coffee is 98 percent water, it makes sense that the water used will significantly factor into the quality of the brewed coffee. Fresh, cold water, which has the highest oxygen content, is the best choice. 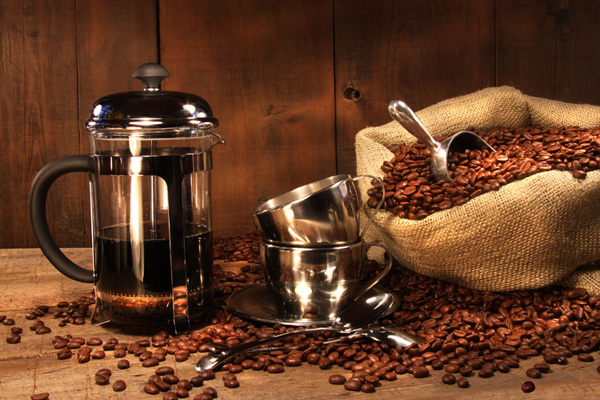 For the most part, hard water with some minerals will bring out the flavor of coffee, as long as the mineral content is not so heavy that it interferes with the extraction process. Using soft water or distilled water can result in coffee that is too strong unless the brewer is careful to ensure that over-extraction doesn't occur. Over-extraction can be avoided by reducing the amount of ground coffee used, using coffee with a coarser grind, or using less contact time between the coffee and water. 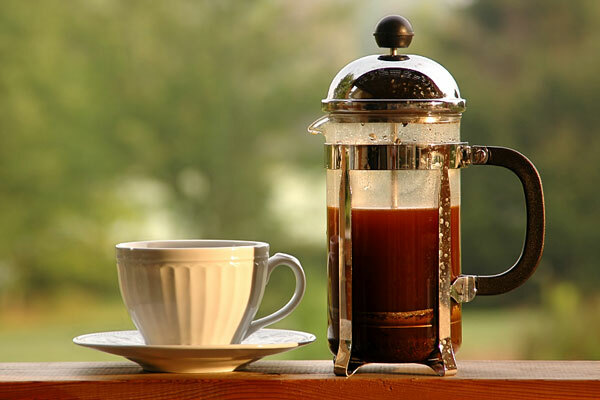 Water that is chlorinated, chemically treated, or polluted can significantly affect the taste of coffee, but can be used in the coffee brewing process if specialized filters are attached to the brewing machinery. You can use water of any temperature to extract coffee, but the ideal temperature ranges from 197-207 degrees Fahrenheit. Because hot water extracts coffee faster, water that is hotter than that will result in coffee that is strong, heavy, and bitter. Pouring boiling water over coffee, even instant coffee, will result in an unpalatable taste. Water that is cooler than 197-207 degrees Fahrenheit will result in under-extraction, producing coffee that is weak, tasteless, and watery. The water and the coffee must be in contact for a certain amount of time in order for the coffee to be extracted and passed into the water. A shorter contact time requires finer particles in order for the water to adequately penetrate them, while a longer contact time requires coarser particles so the rate of extraction can be slowed. When brewing coffee using equipment, always follow the manufacturer's instructions for best results. If the coffee does not meet your taste requirements, adjust the amount of coffee, the water, or the brewing time. While it may take a little trial and error to make the "perfect" cup, eventually it will happen. When you finally brew that cup of coffee that tastes good to you, be sure to note the amount of coffee and water you used, as well as the length of brewing time. Repeating this process should allow you to brew a consistent cup of coffee. Bunn - commercial coffee-making machines and accessories. Black & Decker - coffee brewing appliances. Capresso - upscale coffee and espresso machines. Cuisinart - mid-range, designer coffee makers. Keurig - single cup coffee brewers for homes and offices. Krups - Euro-design coffee and espresso machines. Mr. Coffee - coffee brewing machines for the home. Wilbur Curtis - commercial coffee and tea equipment.